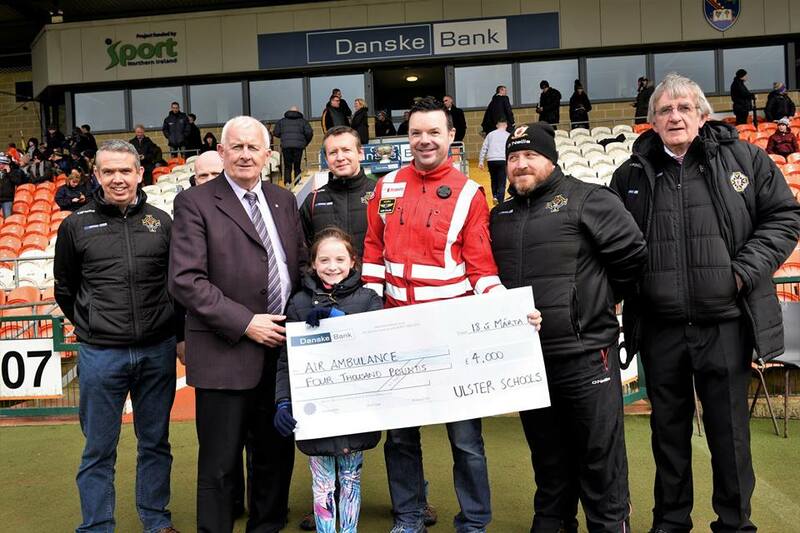 Today at the Danske Bank Ulster Colleges’ MacRory and MacLarnon Cup finals we presented a cheque for £4000 to the Islands Air Ambulance service. Thanks to all who turned up to our quarter-finals. Your money at the turn-stiles went into this cheque.